In a recent twist, scam artists are using the phone to try to break into your computer. They call, claiming to be computer techs associated with well-known companies like Microsoft. They say that they’ve detected viruses or other malware on your computer to trick you into giving them remote access or paying for software you don’t need. These scammers take advantage of your reasonable concerns about viruses and other threats. They know that computer users have heard time and again that it’s important to install security software. But the purpose behind their elaborate scheme isn’t to protect your computer; it’s to make money. Scammers have been peddling bogus security software for years. They set up fake websites, offer free "security" scans, and send alarming messages to try to convince you that your computer is infected. Then, they try to sell you software to fix the problem. At best, the software is worthless or available elsewhere for free. At worst, it could be malware — software designed to give criminals access to your computer and your personal information. The latest version of the scam begins with a phone call. Scammers can get your name and other basic information from public directories. They might even guess what computer software you're using. Once they have you on the phone, they often try to gain your trust by pretending to be associated with well-known companies or confusing you with a barrage of technical terms. They may ask you to go to your computer and perform a series of complex tasks. Sometimes, they target legitimate computer files and claim that they are viruses. Their tactics are designed to scare you into believing they can help fix your "problem." Don't give control of your computer to a third party who calls you out of the blue. Online search results might not be the best way to find technical support or get a company's contact information. Scammers sometimes place online ads to convince you to call them. They pay to boost their ranking in search results so their websites and phone numbers appear above those of legitimate companies. If you want tech support, look for a company’s contact information on their software package or on your receipt. If a caller pressures you to buy a computer security product or says there is a subscription fee associated with the call, hang up. If you're concerned about your computer, call your security software company directly and ask for help. 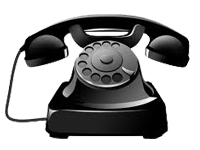 Put your phone number on the National Do Not Call Registry, and report illegal sales calls. If you believe that someone may have accessed your personal or financial information, visit the FTC's identity theft website. You can minimize your risk of further damage and repair any problems already in place.